All Ellison Russell wanted was an update on her stock portfolio. Instead, she found her broker dead. With an unexpected out-of-town guest at her house, Ellison is too busy for a murder investigation. Only this time, Detective Anarchy Jones wants her help, and she can’t deny the handsome detective. Can Mr. Coffee supply her with enough caffeine to keep her brain sharp and everyone else happy? Juggling bodies (one, two, three, four), two-faced friends, her social calendar, and a cat (yes, a cat) is taxing but Mother might be the biggest challenge of all. With a killer drawing closer, can Ellison put together the pieces or will she be the one getting stabbed in the back? This book follows Ellison whose back with Anarchy Jones and gets put in an unusual situation when she visits her broker. Even worse the situation she finds him in. Add that to another broker having a heart issue and collapsing in front of Ellison. Then there is her father who wants Ellison to have a house guest Karma. Ellison definitely has her hands full in this episode. It's so great to read Ellison and Anarchy back together again. This story went all over the place with all sorts of situations being brought to Ellison and finds herself helping all sorts of people where she can. I love going back to this time frame where people talked and not texted it was such fun! As Halloween approaches South Cove, California, four couples get into the spirit of the holiday by conjuring up spirits. . . The house has sat empty for fifteen years, taking up prime real estate along the picturesque coastline. Built by one of the founders of South Cove, its last known owner, Maryanne Demerit, vanished without a trace. Now her home will be demolished for a condo development, but until then, it’s the perfect spot for a Halloween haunted house. Jill Gardner, owner of Coffee, Books, and More, her boyfriend, and three other couples are spending the weekend in the Demerit home. 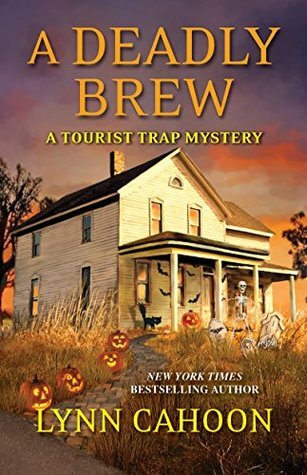 But what begins as an all-in-good-fun fright fest turns into a mystery begging to be solved as Jill is contacted by the ghost of Maryanne . . .
Jill, Greg, and their friends have decided to spend the weekend in a abandoned house which is being demolished to make way for a condo development. They are hoping to solve the mystery of what happened to Maryanne Demerit who disappeared fifteen years ago. While there Jill feels a strong connection to Maryanne leading to some weird dreams/visions. What happened to Maryanne and will they figure it out or pay the price for snopping? Some believe Maryanne was a witch and something went wrong. But as they search deeper they learn Maryanne had a baby and something happened with the baby. Now if only they could solve the bigger questions being brought to the surface. 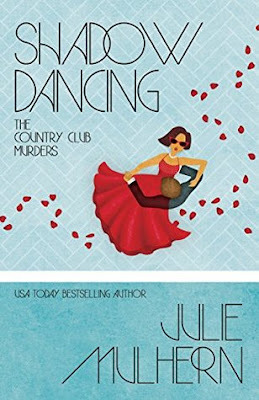 I love this series it's fun and never a dull moment with Jill at the helm uncovering the clues and adding to the mystery. Definitely a great Halloween treat to read. I found myself captivated and unable to put it down! Staying in character can be murder when Cat Latimer and the members of her writers' retreat head for a ghost town . . .
Cat and the members of her writers' retreat have just arrived in Outlaw, Colorado, an "Old West" tourist town complete with inhabitants dressed up as famous figures from history. But this authentic slice of Americana takes a murderous turn when a college student masquerading as a 19th-century saloon girl becomes history herself. Was she the intended target? Or did she take a hit meant for someone else? With a cast of suspects to choose from--including some notorious gunslingers and the sleazy town founders--Cat must unhorse the real culprit before a real-life ghost story is given a killer twist . . .
Cat, Shauna, Seth and Uncle Pete are back to entertain us again this time Shauna and Cat are hosting another retreat this one has a lot of historical romance authors and Jessi Ball whose gotten the opportunity to be here as part of the college. They are having fun going to Outlaw Colorado and visit the old west dress up as saloon girls and having a great time when something seems off with Jessi and Cat tries to help her but of course not long and Cat is being informed how Jessi's roommate Danielle has been found strangled. Who killed the young college girl and why? The more Cat and Jessi learn about Danielle the less they seem to like her. Add to the mix something mysterious happening with Jessi's financial accounts. Someone seems determined to destroy Jessi and Cat can't figure out who or why? Will Cat figure it out in time or will someone shut down Jessi once and for all? I enjoy these trips to Colorado we learn so much and this one also shows you how Shauna has been dealing with her boyfriend's murder. 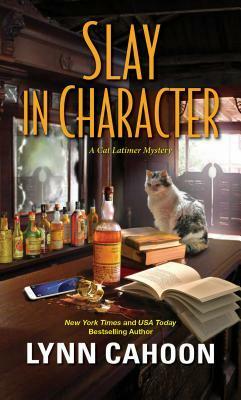 Of course in this one Cat has her work cut out for her as these authors are determined to play the role of Jessica Fletcher. Will Cat ever stop getting calls from Uncle Pete about the authors running off where they shouldn't be? Visiting a psychic is outside the norm for Ellison Russell. Finding bodies is not. Unfortunately, the psychic's crystal ball says she'll soon be surrounded by death. Again. Drat. Now there's a corpse in the front drive, a witchy neighbor ready to turn Ellison and her (not so) little dog into toadstools, and a stripper named Starry Knight occupying the guest room. How did 1975 go so wrong so quickly? Ellison must handle Mother (who's found a body of her own), make up with a certain handsome detective, and catch a killer, or the death surrounding her might be her own. Ellison Russell should have known her life would go downhill when she went to a psychic with her friend. What she didn't count on was how wrong it would go from teenage prostitutes to her parents having issues to having Det. Jones back in her life. Will Ellison ever have a quiet day in her life? Will she figure out what Starry Knight knows or who killed another prostitute? This book had everything from teen angst lots of that to of getting Det. Jones off her radar as they have recently split. Will Ellison ever find the one or is she destined to be alone which is fine by her, but it won't keep her bed warm at night. I really enjoyed this book and have everyone ever since. Ellison handles things with only the style she can. She also does it proving that women even back then could do more than keep home and have parties! Halloween is fast approaching in the quiet Los Angeles County city of Vista Beach, home of computer programmer and tole-painting enthusiast Rory Anderson. 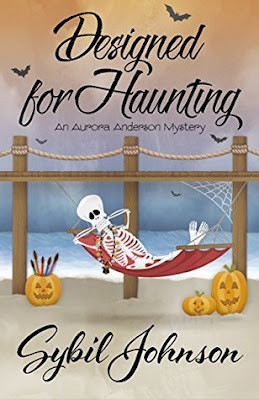 While her painting chapter prepares to open its annual boutique house, Rory receives an unexpected email from Beyond The Grave, a company that automatically sends out messages when someone dies. Haunted by her friend’s disappearance and possible death, Rory begins her search with the help of best friend and fellow painter, Liz Dexter. Can they discover who has designs on the missing woman and uncover the truth before one of them becomes the stalker’s next victim? This book follows Rory Anderson whose received a message from the beyond from a friend of hers. Zelena begs Rory to find out what happened to her. 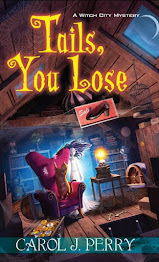 Of course Rory isn't sure what is going on and with the help of her friend Liz Dexter she is determined to find out what happened to Zelena and why. With not much to go on they search to find out what happened to Zelena even when they are warned not to investigate by Rory's boyfriend. Will they figure out in time or will they be sending messages from beyond? I really enjoyed this adventure and everything it brought definitely a great spooky mystery in time for Halloween. You can't help but love following along with Rory and Liz as they try to get to the bottom of this mystery. Definitely a great mystery to spend your time this holiday season! Murder She Sent mainly works with Penguin Random House and Kensington to offer a Cozy Mysteryor First in a Series box each month. 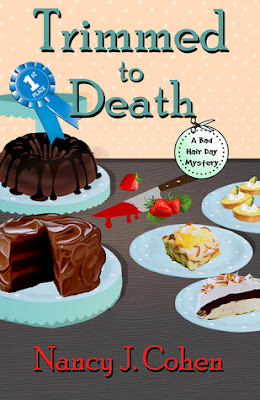 It is a cozy mystery subscription box with a new release cozy mystery paperback book, 4 homemade/handmade artisan items from small US-based businesses, exclusive author content and exclusive discounts. First in a Series box is the first book in a cozy mystery series, either an Alfred Hitchcock or Ellery Queen magazine, an exclusive keychain, and 1 artisan item. Billie Jenrette. Owner and curator for Murder, She Sent. 39 years old. Have had this subscription box company for a year in September. The logo. His name is Fletcher the cat. He’s named after Jessica Fletcher of Murder, She Wrote. A high society murder. A spirited lady detective. 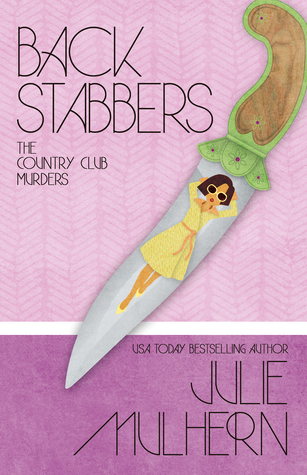 Can she out-class the killer before an innocent person takes the fall? London, 1923. Olive Belgrave needs a job. Despite her aristocratic upbringing, she’s penniless. Determined to support herself, she jumps at an unconventional job—looking into the background of her cousin’s fiancé, Alfred. Murder at Archly Manor is the first in the High Society Lady Detective series of charming historical cozy mysteries. 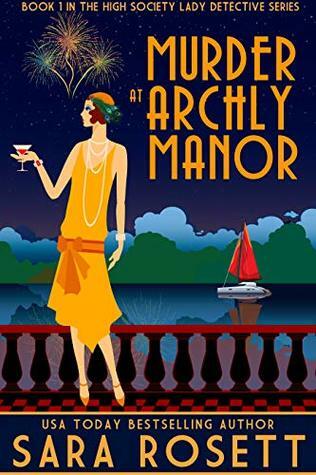 If you like witty banter, glamorous settings, and delightful plot twists, you’ll love USA Today bestselling author Sara Rosett’s series for Anglophiles and mystery lovers alike. This book follows Olive Belgrave whose trying to find a job. When she receives a message that her cousin needs her help. Her cousin is engaged to a man named Alfred. Irene's family isn't keen on the marriage and are hiring Olive to get the goods on the fiance. When a murder to occurs and Olive's cousin winds up on the hook. Olive has to investigate to clear her cousin. This back is alot of fun and enjoyable mystery. I really felt captivated to the story wanting to find out where the story would lead and can't wait to see what is the next in this fabulous series! It’s December in Copper Bluff, and from hillside to hallowed hall, everyone is merry—or will be as soon as semester break arrives. Students are studying, professors are grading, and Emmeline Prather is anticipating the university-sponsored holiday concert. Friend and colleague Lenny Jenkins will be accompanying the visiting quartet, Jazz Underground, and Em can’t think of a better way to kick-start the holiday season. But before she can say “Jingle Bell Rock,” trouble arrives at Candlelight Inn, the bed and breakfast where the quartet is staying. One of the band members dies unexpectedly, and suspicion falls on Em, whose altercation with the man ends with him on the floor. He never recovers, and now she’s worried her reputation might not either. When Emmeline starts to see parallels between an Agatha Christie novel she’s teaching and the victim, Lenny claims she’s read one too many mysteries. But as the clues unravel, so does the murderer’s patience. Em is close to finding the truth, but will the truth—or the murderer—push her over the edge? It will take a Christmas miracle to solve this case, but if there’s one thing in surplus this time of year, it’s faith. 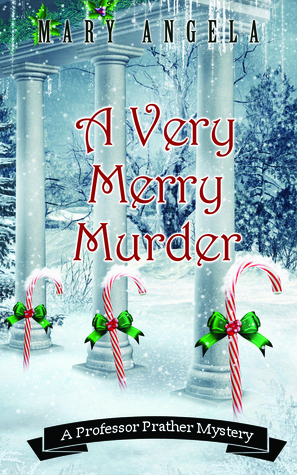 This book follows Professor Emmeline Prather whose getting ready for Christmas and grading papers at college. Not long into the book a murder occurs and Emmeline finds herself being accused of murder. Emmeline has her work cut out for her if she wants to have any kind of life and not the one behind bars! This book was definitely cute with the descriptions of Christmas and how the people celebrate the holidays. Along with solving a mystery and add an Agatha Christie novel to the mix and it's bound to be a great adventure! All of Cora Chevalier's dreams are coming true. Since moving to Indigo Gap, North Carolina, the busy crafting maven has been blessed with a great boyfriend, a lovely home, and a booming craft retreat business. But on the eve of her first Crafty Mom's Escape Weekend, tragedy strikes again in Indigo Gap. This time, it's curtains for Stan Herald, the disagreeable director of the local theater group, who's murdered on the opening night of their new production. Worse, Cora's friend Zee is accused of the crime. 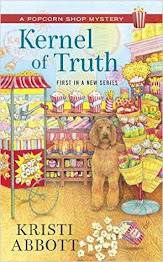 Cora is determined to prove her friend's innocence, but Zee's mysterious past is making that difficult. And with a list of suspects longer than a double spool of satin cording, getting a bead on the real culprit won't be easy. With her friends Jane and Ruby at her side, Cora must string together the clues and solve Stan's murder before the killer gives an encore performance. 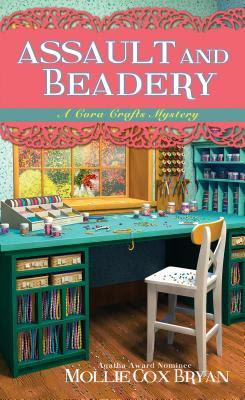 This book follows Cora and Jane who are hosting a retreat focusing on beads when they help out Zee whose running a play for Fiddler on The Roof what no one counted on was the director getting killed and Zee on the hook for the murder. Of course Cora can't help getting involved when her dear friend is on the hook for this horrible crime. Cora definitely has her work cut out for her working her retreat and helping her friend get off a murder charge. This book was such a fun read and really kept me captivated until the end of the story. The characters in this story are such fun and down to earth very to relate too. Of course the other fun part is the retreats than I think anyone would love to be part of! Can't wait to see what is next in this incredible series! While Ava and Carmela are enjoying the Mardi Gras float the one carrying Carmela's ex-husband and his krewe explodes and sends the men flying and one of the men dies. 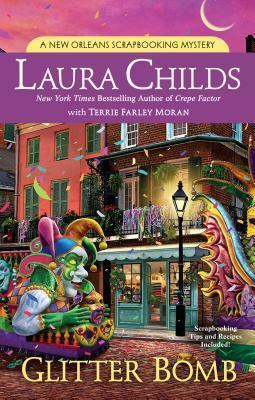 The krewe's captain Hughes Wilder winds up really dead and Carmela's ex Shamus is on the hook for the murder and begs Carmela to help him. Carmela can't help herself and the more she investigates the more she begins to wonder if someone else had more to gain by killing Hughes. Hughes has ticked off a lot of people with bad investments of their money. Then there is Hughes wife who is stepping out with another man could that be who killed Hughes? There are definitely no shortage of possibilities as to who wanted him dead! Who could have planted the bomb and why? I love this series it's so entertaining mixing in New Orleans and mystery. As you read it you can't help feel like your a bestie of Eva and Carmela's and walking around with them trying to get to the bottom of the crime. The girls writing this book have such a great flare for mystery telling. Such fun! It kept me reading until the end! Marla Vail is back and this time she has entered a cooking bake off to win a food themed package. Marla is hoping to expand her saloon to include food to keep people in saloon longer. When Marla stumbles on a dead body she begins to wonder if she was killed by mistake as she was wearing someone else's jacket. There are no shortage of suspects from fellow bake off contestants to a cooking show hostess, to bloggers and reviewers. The victim Francine Dodger who works at a local magazine. Who would want to kill Francine and why? As Marla digs deeper she wonders if they will ever weed out the suspects. Hopefully Marla can figure it out and figure out why she's not feeling well. Is it food poisoning or something else completely? I love this group of people watching as Marla and Dalton get to the bottom of the people they've gotten to know in this book along with seeing what their daughter is up to now. This book had so much going on and I couldn't put it down until it was over and the murder was definitely not who I had pegged for the crime. Such a great adventure to go on! Penelope Thornton-McClure and her bookshop's ghost-in-residence Jack Shepard are back on a new case in this delightful paranormal mystery from New York Times bestselling author Cleo Coyle. 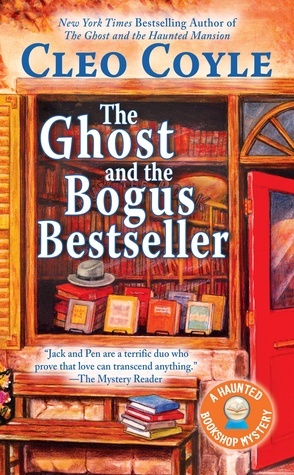 In this book Jack is working on another one of his cases. In this one a dame wants helping finding her dog. In present time Penelope is helping a woman with some books at her store when she gets a look at the author of the latest book is adamant it is herself and runs out with the book. When Penelope tracks her down she finds the woman is dead. What happened to Emma Hudson? Who killed her and why? Or did she just commit suicide! As Pen delves into this latest adventure Jack shows her not everything is what it seems. When Pen's son shows up home with a friend in tow she finds out that Amy's father died and her mother shipped her off instead of letting her go to his funeral. Pen also learns alot about the author of the latest book or in this case various authors who contributed to the story and in this case the story is more real than fiction. Which leads Pen to learn about Emma and what she was hiding. This also brings Pen and Jack to 1947 and a case Jack had which led to a woman hiding from her past. I love the way this book is part in current times part in Jack's time. The relationship between them is so cute even if it is impossible. As Jack is dead and Pen is very much alive. If only they were alive in the same time they could definitely have something. I think in some ways Jack helps Pen feel more alive than her deceased husband did. Can't wait to see what will be next for Pen and Jack, of course hopefully we won't have to wait as long!